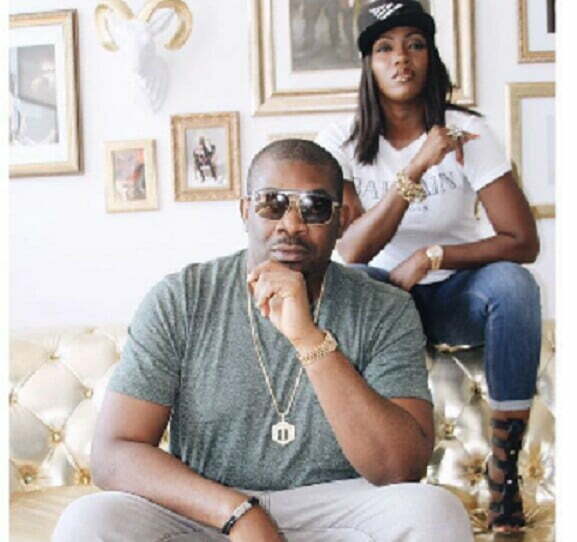 Hours after Roc Nation officially welcomed Tiwa Savage to the record label, Don Jazzy has taken to social media to congratulate his company’s leading queen, he also used the opportunity to shade critics accusing her of joining the Illuminati. Tiwa Savage was included in the list of Nigerian artistes accused of joining the mysterious ‘Illuminati’ after she shared the trailer of her upcoming US tour which features concentric triangles. Plus, at the end of her performance at the One Africa Festival in New York, the singer threw up the ROC sign, in homage and confirmation of her new deal with Jay Z, the Roc Nation boss. As usual, fans assumed that ‘Roc’ sign – the diamond-shaped hand signal famously used by Jay Z and artistes associated with him – to be an indication that Ms Savage had joined the Illuminati. Lol see as i nearly sit down for ground. I no want make that illuminati ram head for the wall catch me. Congrats to the First Lady of Mavin on the Rocnation management deal once again @tiwasavage. More success coming our way in GOD’s name. Amen. ? ?